The “subtle realm” is the hidden dimension that shadows the phenomenal world we perceive with our senses. It is the forbidden domain, the realm of angels and aliens. The realm beyond consensus reality. This got my attention, I've been working hard to try and wrap my mind around exactly these hard to grasp concepts. During the interview we ponder the term “subtle realms” as way to describe the indescribable. We attempt to name a place just beyond our grasp and what it might mean. I asked how her patients report their “altered states” of consciousness. Can you try and describe that realm. And how her role as a therapist attempt to re-access these altered states of consciousness? During the interview I share a personal experience with, what might be, that very strange ALTERED REALITY realm. And follow it up with a funny dream of the UFO in my brother’s garage. And I talk about a VERY vivid dream that culminates with a blue orb floating above my bed. Dr. Colli is a therapist, and during our conversation I speak quite openly about my dealings with clinical depression. I was very tempted to edit out this section of the interview because it I talk about some very personal stuff. But I really feel that it’s relevant to some of the bigger questions that we attempt to unravel. 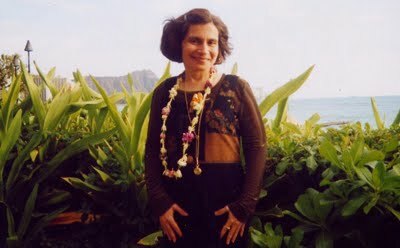 I first heard bout Dr. Colli on an audio podcast by Jeremy Vaini back in June of 2008 on his Culture of Contact show. I listened to it again as part of my preparation for my interview. This highly recommended conversation is linked HERE. For more info, visit Dr. Colli's website HERE. Here's a follow up half hour interview with Dr. Colli. I had the honor to sit in as the guest host for Whitley Strieber's on-line subscribers and interview with her. During the follow up interview we talked about the event in the tent with Natascha from 2010. This conversation seems a little bit like a client and a therapist, where I ask for help and she shares her insights. Thanks to Whitley for letting me post this 30-minute interview here on my site. His site is Unknown Country. Probably your best one,yet.And I think you did the right thing by leaving your personal experiences about depression in.That was very unselfish of you,and I think that's where the power of this pod-cast comes into it's own,and will really resonate with future listeners of this conversation.I think you have hit on a key element to the post-psychic phenomena that follows a dark night of the soul experience. I know that it certainly rings true in my case.Not that I suffer from clinical depression now(or take any drugs for it).But,to go through a dark night of the soul experience,serve depression has to be a key ingredient at the time. And I think you will find this experience is a common denominator in most true psychics,if they are honest,like you have been. You seem to be well and truly on the path now.Great Pod-cast. It's funny that you mentioned the looking through a fishbowl experience,because I've had that experience a few times to the point that some of my favourite art pieces,around my house are prints,magnets,ornaments,etc,of fishes or cats staring out of fishbolws.Just check out my blog to see what I mean (see fridge photo).In fact right in front of me is a drawing of a cat staring through a fishbowl,with the saying ,"The real voyage of discovery consists not in seeking new landscapes,but in having new eyes." Marcel Proust. (CD comes with it)and have started getting into that.I also received "The Twelfth Insight" by James Redfield (I was NOT a fan of "The Celestine Prophesy" BTW)and started reading that today,and it starts off with them heading to Sedona after stopping at a pub/coffee shop.And the book's about synchronicity. My mind is probably too distracted with all the background noise hanging in the air being the result of all the major news developments, because it was only by the end of the interview that I could connect with the things Dr. Colli was saying —the part about the collective experiencing the "dark night of the soul"? that was the part that finally got my attention; so I also thank you for your immense courage in sharing these personal matters with the rest of us. I too think it will serve a higher purpose eventually —just imagine if only one visitor to this blog who's passing through the same ordeal gets to think twice about his plans to commit suicide after reading you experienced the same thing and managed to overcome it. "Loved your interview w/ Dr. Colli and I'm so happy that you are sharing Truth- especially your own personal account/experiences in this wild ShamanicJourney of the Soul. Other than compassion, there is no greater merit of character. Each of us hold pieces of the puzzle and it takes courage, integrity, and HeartConsciousness to fit them together." I demand a place in this group hug. This was a great conversation and I enjoyed it immensely. Each of you were on a similar wavelength, and you both seemed aware and appreciative of the respective insights it yielded. I've always been mystified by depression's taboo status. Like a lot of other taboos, I suspect its pervasiveness is the very thing which accounts for the general tendency of people to sweep it under the rug. Clearly, I disagree with those who privately suggest downplaying or eliminating it altogether from your public dialogue. Saying so should not be misinterpreted as a moral judgment toward anyone who chooses to keep such matters private. Rather, as Darren and RPJ stated, it is unselfish of you to be so forthcoming. It does reflect a strength of character to not run from the vulnerability associated with its disclosure, and it does serve a greater purpose than mere catharsis or emotive indulgence. In addition to serving as a means of chiseling away at the taboo status of depression, because consciousness and The Enigma are intrinsically related, it's relevant. I've always been very candid about my history with depression, but my revelations have always been in written form. Audio is much closer to the bone - it's just a more intimate medium than written expression - and, as a consequence, any taboo will draw a greater contrast with or as the subject matter in audio form. I talk too much. Thanks. Wow! I just listened to the interview that you did with Dr. Janet Elizabeth Colli. Great interview, I could really relate to the topics you were discussing. I am in awe of how brave you are in sharing your story. Thank you so much for talking about your depression and making the statement about how our society still attaches a stigma to it and that attitude should change. I was shocked but not surprised when you said that almost 100% of abductees report having had some form of depression according to some leading researchers. It always made sense to me that most if not all abductees would experience some type of emotional and or psychological distress at some point. I would think it would be abnormal not to experience PTSD and or depression with this phenomenon. At some point in the interview something was being discussed about how one can tell the difference between a normal dream and an experience. I think when we are young we are able to distinguish the difference. I think that later we are trained to disregard our experiences. I have been having less traumatic experiences in the past years, in fact some of them are very positive experiences. A week or so ago I was having recurring dreams, the same dream every night for a week and the last dream I woke up and turned over and saw a very vibrant blue orb up in the upper right hand corner of the room. Then a voice told me that, "it was time to remember" or "I want you to remember"
Hope all is well with you. Keep up the good work! Great job with Dr Colli. You know how I feel about experts of various stripes, but I *really* enjoyed this interview - enough to order "Sacred Encounters" a few minutes ago. ... Anyway, I just wanted to give you a shout-out to say well done. Pretty insightful, I think. P.S. The people advising you to not reveal so much about your experience with depression, I strongly suspect, are likely suppressing or otherwise grappling with, their own depression. Anytime a person addresses taboo subjects in a personal manner, those lacking the courage to do the same will very often resent those who demonstrate the strength of character to illuminate the dark places. But for every nine who close their eyes and turn away, there is one sees and appreciates the light and diminished shadows, and it's a light many will carry going forward. Only rarely, I think, do we know who that one in ten might be, but just knowing they exist - and they do - is nourishment for the soul. Again, well done. Loved your interview w/ Dr. Colli and I'm so happy that you are sharing Truth- especially your own personal account/experiences in this wild ShamanicJourney of the Soul. Other than compassion, there is no greater merit of character. Each of us hold pieces of the puzzle and it takes courage, integrity, and HeartConsciousness to fit them together.